Hog Roast Castleford is the ideal solution for when you want to impress your guests at a special occasion that you’re organising. Regardless of the type of party or event you’ll be hosting, whether it’s a corporate function, your wedding day or a private party like a birthday, christening or anniversary, we can put together a fantastic food package and back it up with our first-class service to boot. We recently catered Emma and Mark’s engagement party at a local hotel, where they pulled out all the stops in a wonderful, formal setting, and we complemented that with a traditional hog roast to feed 50 guests as well as additional food. No matter what kind of food you want to be served at your event, we can fulfill your wishes, as we don’t only cook hog roasts, despite our name. We can cook you a succulent spit-roasted animal or bird if preferred, or a barbecue with gourmet meat or our amazing Southern Slow Roast Menu that gives you three meats and four sides. 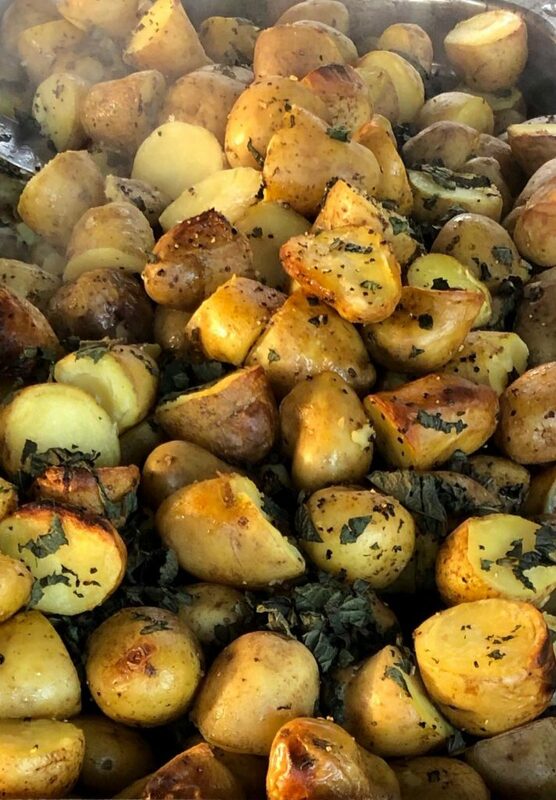 Not only that, but Hog Roast Castleford can also provide several courses or extra sides to your heart’s content, as well as options for guests on special diets, including vegetarian, vegan and gluten-free. Emma and Mark asked us to create some large, healthy salads to go with the pigs in buns that we’d make from the hog roast itself, as well as to cook new potatoes with herbs and a heap of jacket potatoes. While we have all kinds of dishes that we can make for vegetarians, like stuffed vegetables and veggie skewers, the couple were happy for those guests to enjoy our potato options and the salad dishes, which would all be suitable. On the day of the party, our Hog Roast Castleford chef and team members headed to the lovely venue and set up our equipment outside in the marquee tent. Before long, the hog was roasting away, and soon enough the potatoes were cooking away too. Nearer to the time of service, we put together a tomato and mozzarella salad, our homemade coleslaw and a Greek salad, and then it was finally time to feed the hungry guests. Surprise Birthday Hog Roast in Pudsey.